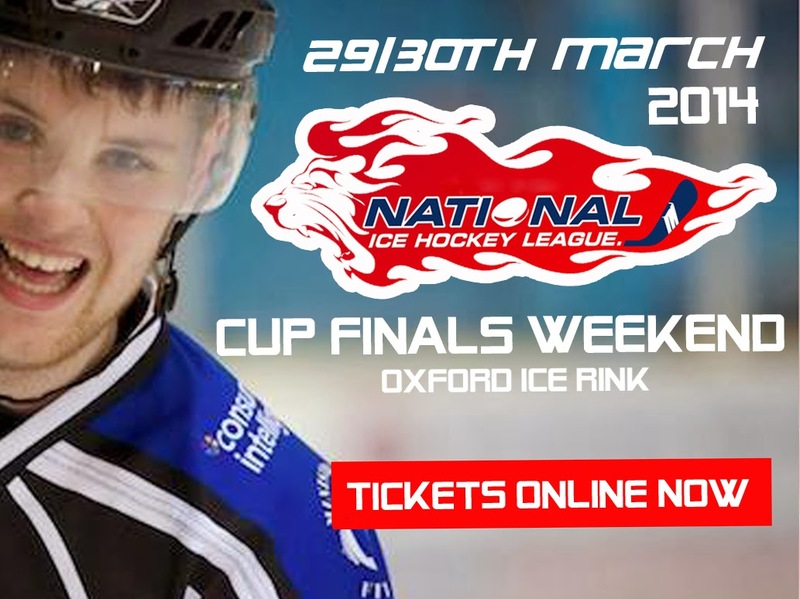 Tickets are now on sale for the NIHL South 2 Cup Finals weekend, which is being held at Oxford ice rink on the weekend of 29/30 March. Opposition will be two teams out of Chelmsford Warriors, London Haringey Racers and Wightlink Tigers (qualifiers not yet known). Advance Sales: Adults: Saturday (two matches) £10.00, Weekend (all three matches) £12. Children half price on all rates. No other concessions. Please note that there will be a small service charge if you purchase tickets online (pence, not pounds).